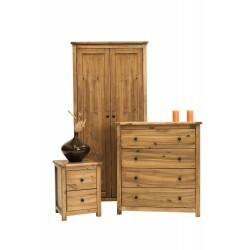 The round wooden handles give this pine trio bedroom furniture set a traditional look. 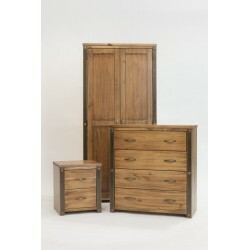 Each piece has a protective lacquer that allows the natural grain in the wood to show through. 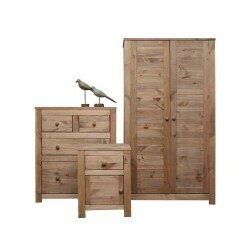 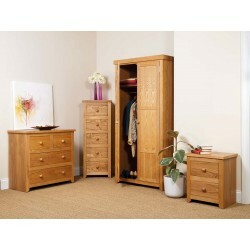 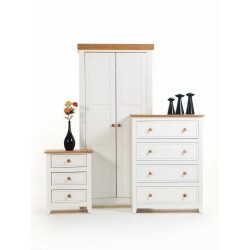 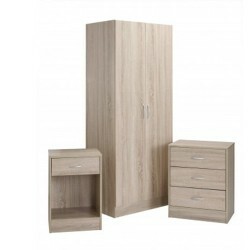 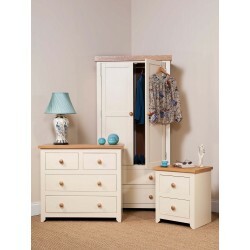 Set includes the 2 Door Wardrobe, 4 Drawer Chest and Bedside Cabinet. Inside the Cotswold wardrobe you will find a solid pine shelf above the hanging rail. 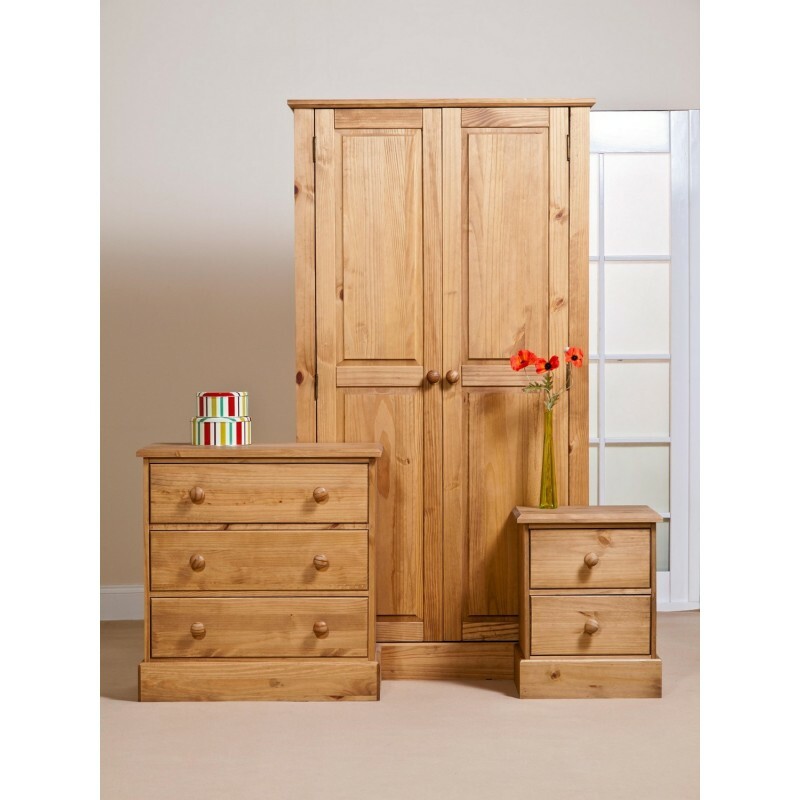 Hand finished with a spirit based antique stain and then a finishing coat of tinted wax effect lacquer for a hard-wearing finish.